An Israeli Parliamentary delegation visited Sri Lanka from 24 to 30 of September 2015. According to reports the delegation had discussions with Secretary-General of Parliament Dhammika Dasanayake on areas of mutual interest, security arrangements in Parliament, the public outreach and employing disabled people in Parliament. However Mr. Dassanayake did not disclose the areas of mutual interest he discussed with the visiting Israeli team. The question is how could Sri Lanka have areas of mutual interest with Israel in view of its long list of war crimes which has turned the Middle East into a killing field. Sri Lanka is a country with more than 2000 years old civilization. 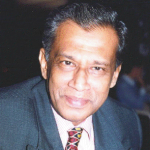 In the 1960s and 1970s Sri Lankan voice was highly respected in all third world forums from Non Aligned movement to Afro Asian Solidarity Organization for its support to oppressed people worldwide in their struggle for freedom. On the other hand Israel is an artificial neo fascist racist entity planted in Palestine, in the heart of Middle East, after uprooting the sons and daughters of the soil, by Zionist Jews supported by European colonial powers led by Britain, France, Russia and later United States. The purpose was to destabilize Middle East which was one of the peaceful regions in the planet earth during Ottoman Turkish rule long before the advent of Zionists Jews who were the godfathers of terrorism and killings in the region. Israel is an entity established in violation of all moral, legal and ethical principles cherished by humanity throughout the ages. Since 1930s Israel has committed more than 60 massacres of Palestinians. Now the question is why was an Israeli parliamentary delegation invited and honored despite its crime records. Is it ignorance on the part of Dhammika Dasanayake and his team on Israel’s crime records? While the Israeli team was having discussion here with Dassanayale and going on guided tour, in the occupied Jerusalem illegal Jewish settlers, backed by Israeli armed forces, attack Muslim worshippers at Al Aqsa Masjid which is the third holiest place for Muslims. Brave Palestinian men and women in Jerusalem struggle to ensure their rights and dignity against the Israeli barbarity backed by the military might of US, Europe and Russia. The shameful state of affairs is such that there was hardly a word of support of solidarity to the Palestinians struggling to protect Masjid Al Aqsa from the island’s bankrupt Muslim political, religious and civil society leaderships. What one cannot understand is the haste with which the Israeli delegation was invited to Sri Lanka even before the new government, elected with predominantly Muslim votes, settles down. When Mr. Dassanayake said that “ Israeli team visited Sri Lanka on our invitation” one has to presume that the invitation was government approved. Is the speaker of the Sri parliament aware of this invitation? Now the question is whether the invitation is from the present government which claims to uphold justice and good governance or the defeated Mahinda Rajapakse regime under which relations with Israel flourished while racist attacks on the island’s Muslim reached unprecedented scale? Today under the changed political environment in Sri Lanka much is talked about on reconciliation and communal harmony. Therefore in inviting the Israeli delegation did Mr. Dassanayake ever think of the sentiments of the island’s Muslim community or the feelings of his own Muslim staff? Muslims constitute more than one fourth of the world population and there are more than 55 Muslim countries .Muslim countries, as proved time and again, remain the best friends of Sri Lanka in times of both prosperity and adversity. Under such circumstance did Mr. Dassanayake ever consider of inviting a delegation from any Muslim country including Malaysia and Pakistan. NO. Why? Is it the indifferent mindset towards injustice to Muslims worldwide? By and large in Sri Lanka the present generation of professionals, intellectuals and others including most in the media do not know much about the true face of Zionist entity as the local media depends on the pro Zionist western media for its international coverage. Are we to presume that Mr. Dassanayake belongs to this group? Already there were speculations that Israel financed Sinhala racists through Norway to whip up hostility towards Muslims during defeated Mahinda Rajapaksa government. It was as part of this hostility that a German Jew donated a building for Sinhala extremist Bodu Bala Sena in Galle at a function attended by former defense secretary Gotabya Rajapaksa. Under the circumstance the need of the hour is to reestablish the image of Sri Lanka in the international stage by once again supporting the oppressed people including Palestinians who were abandoned by the Arab tyrants too and not by rolling red carpet to Israeli war criminals. Countries like South Africa and its legendary leaders like Nelson Mandela and Archbishop Desmond Tutu were respected because they defend justice all over. Israelis were trying to penetrate into Sri Lankan since 1950s .Every time they sneaked into the island they were expelled. It was during Prime Minister W Dahanayake’s period in 1958 a non resident ambassador was appointed to Israel, but he was recalled by Prime Minister Mrs. Srimavo Bandaranaike. During the 1970 general elections expelling the Israeli mission in Colombo was a pledge by the United Front which attracted sizable Muslims votes. Fulfilling her promise Mrs. Srimavo Bandaranaike closed down the Israeli mission in Colombo despite threats of economic boycott. The island’s fiercely independent and dignified policy and the overall attitude towards Israel was such that in 1979, Sri Lankan Cricket Team refused to play its match against Israel in the 15 nation qualifying competition in the 2nd Prudential World Cricket Competition in England. In the aftermath of 1983 anti Tamil pogrom President Jayewardene turned to Israel to deal with the rising Tamil militancy in the north as both the United States and Britain refused to help. Israel which thrives on others’ misery grabbed the opportunity and an Israeli Interest Section was established in the US Embassy in Colombo with David Matna, later reported belonging to Israeli intelligence service, Mossad, as resident head. Muslims opposed the move. Leading a delegation respected senior Muslim politician and Chairman of UNP Dr M.C.M. 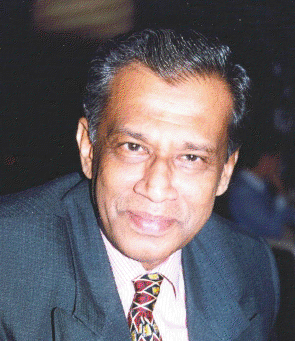 Kaleel met President Jayewardene to express Muslim concerns. But dismissing them President Jayewardene stated “well, if the Muslims wanted they can remain in the government, otherwise they can leave”. This was one of the reasons why the frustrated Muslims, especially those in the east, turned to Sri Lanka Muslim Congress for a forum of their own to raise their voice, though it later ended up as a disaster. This book came out with startling revelations of Sri Lanka’s secret relations with Israel and President Ranasinghe Premadasa appointed a presidential commission of inquiry into allegations. He later closed down the Israeli Interest Section in Colombo on 20 April 1990 and discontinued diplomatic relations with Israel. Once again Secret talks between Israel and Sri Lanka began in 1996 when the then Foreign Minister Lakshman Kadirgamar was hospitalized in New Delhi for a kidney operation. The Israeli ambassador in New Delhi, accompanied by the then Indian Ambassador in Colombo Sivashankar Menon who was earlier the Indian ambassador in Israel before coming to Sri Lanka and later Foreign secretary in India, visited Mr. Kadirgamar in the hospital. According to reports the Israeli ambassador had visited Mr. Kadirgamar frequently in the hospital and these secret contacts led to the resumption of diplomatic relations between the two countries in June 2000. Once again Israelis entered Sri Lanka like midnight thieves during the Rajapaksa regime and began spreading their tentacles from politicians, media, business establishments and other fields. Israelis were so successful that they got President Mahinda Rajapaksa, then Prime Minister Ratnasiri Wickremanayake and a parliamentary delegation led by then Leader of the House Nimal Sripala De Silva to visit Israel. Since then several ministers and top officials visited Israel. Certainly a great achievement for Israel. The recent visit of Israeli parliamentary team indicates that ties between Sri Lankan and Israel continue to flourish to the detriment of the island. What most people who hob knobs with Israel fail to understand is that Israel is not a Muslim but a national issue.